Dragon Quest has the same problem as many other nostalgic properties: Its audience is aging out. And its creators know it. Producer Hokuto Okamoto acknowledged as much when I spoke with him during PAX East, "We know Dragon Quest have been around a very long time, so the players are kind of aging up and growing older." So what's the team's plan to win over a new generation of fans? By looking backward. Moreso even than usual, Dragon Quest XI is self-referential in the extreme. It contains nods to basically every mainline Dragon Quest to this point. It's such that magazines in Japan have dedicated themselves to unearthing every reference in Dragon Quest XI, no matter how small. Fans who remember the original Dragon Quest games are only getting older. Out of curiosity, I asked about references to my personal favorite game in the series—Dragon Quest V, a multi-generational RPG epic in which you grow up, get married, have kids, and raise monsters. Okamoto readily pointed to Dragon Quest XI's own generational story—there's a bit of a time skip near the beginning—as well as the periodic flashbacks to your childhood. Then he got more specific. "In Dragon Quest V there was a scenario where you were captured and escaping in a barrel," Okamoto said. "After you make your escape and wake up there's some specific music. There's an homage to that specific piece of music [in Dragon Quest XI] as well." The music Okamoto is referring to is the song "Saint." The scene in question comes after escaping years of slavery (Dragon Quest V could be really dark for an SNES game). It's a piece of music that's instantly recognizable if you've played the original game. Okamoto hopes that these moments will serve to bridge the gap between older fans and younger ones. "We felt like this would kind of instigate a conversation between generations in regards to a shared experience through past players informing new players." It may seem odd to leave even more heavily on nostalgia than usual in trying to sell your game to a younger audience, but it's not unprecedented. Indeed, reams of articles have been written about parents in the U.S. wringing their hands over how to properly introduce their kids to the original Star Wars trilogy. Dragon Quest is trying to spur much the same conversation. 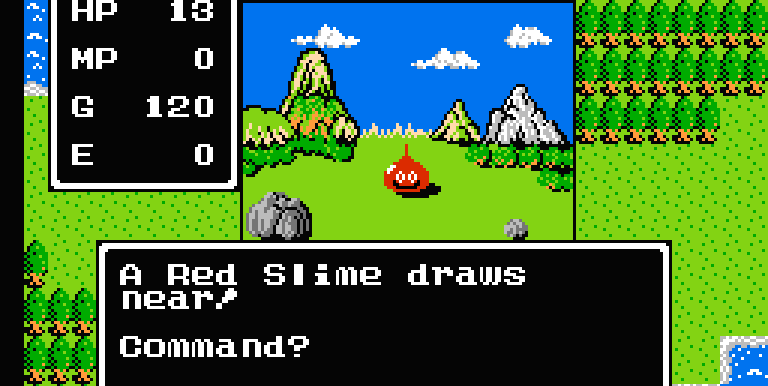 The upshot of all this is that, even in Japan, Dragon Quest is in need of fresh blood. As the days of the Famicom recede in the collective memory, it will have to work harder and harder to remain relevant. And that's true even in Japan, the franchise's homeland. On the face of it, Square Enix's approach appears to be working. Dragon Quest XI launched in Japan last year. It managed to sell 3 million copies across the 3DS and PlayStation 4 by November 2017, making it a success in the Japanese market. The two versions combined were able to roughly match Dragon Quest IX, which roared out of the gate on the DS with 2.3 million copies sold. Square Enix president and CEO Yosuke Matsuda said the two games were able to meet the "lower end" of sales expectations, and hoped that 3DS sales would pick up. Dragon Quest XI's success is impressive in light of increased competition and lower install base in Japan. It's managed to largely hold serve amid the explosive popularity of mobile gaming, which was much less prevalent when Dragon Quest IX launched in 2009. Whether it actually passes the proverbial torch to the younger generation remains to be seen; but for now, mission accomplished. A big plus for Dragon Quest XI is that it's a very pretty game. Now Square Enix is turning its eyes westward as they try to truly break out in the U.S. for the first time. Indeed, Square Enix has made no secret of its desire to build a fanbase here. The decision to release Dragon Quest XI on PC instead of 3DS is emblematic of that. The recent success of games like Nier Automata also give Dragon Quest's developers reason to be optimistic. "At one point people were saying that Japanese games didn't have much of a future overseas. But look at the recent success of [games like Persona 5 and Nier: Automata], we feel that if we put all of our effort into bringing certain titles overseas, it will be properly received and properly evaluated. So in that sense, we're hopeful. And if Dragon Quest XI is received in the same way, we'll be elated," Okamoto said. I pointed out that this is the first time in a while that Square Enix has prioritized the American market, noting that Dragon Quest IX and Dragon Quest VII respectively were published by Nintendo. Dragon Quest X was never even released outside of Japan. Okamoto couched it as a strategic decision, "We just felt Nintendo provided the platform to deliver a game to a wider audience. That's why we decided to have NIntendo publish some of those Nintendo platform games. In terms of how famous Nintendo is, they're maybe up here, and we're down here." He shrugs off concerns that Dragon Quest XI is too slow, too stately, and too old-school for modern audiences. "It may be a little bit off-center in terms of being what is considered standard at this time, but this type of gameplay should be something available. Not everyone will want to play a busy game. Some people may want to take their time and slowly proceed through the game as well." 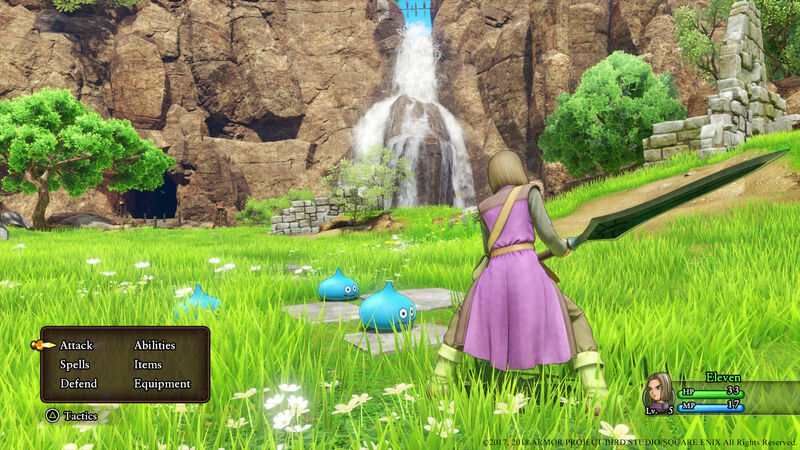 Can Dragon Quest's stately RPG action continue to translate amid a changing landscape? Americans don't see Dragon Quest through the same nostalgic lens as the Japanese. There is no older generation to share stories of the first time they found Erdrick's Sword. 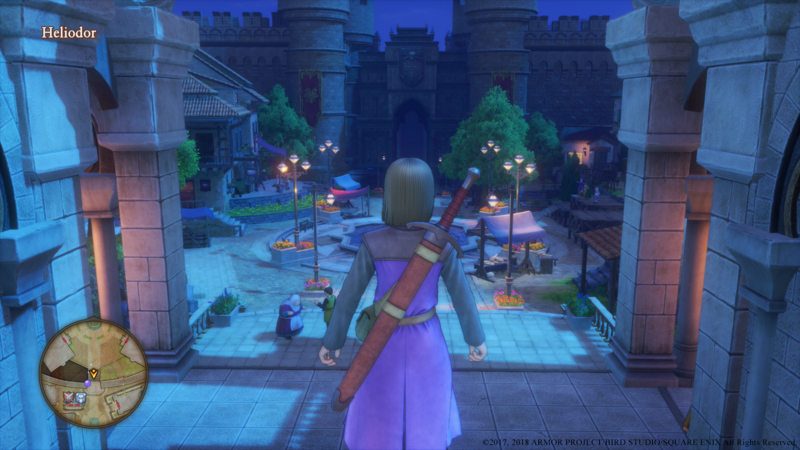 Many Americans who pick up Dragon Quest XI will be coming into the series for the first time. Okamoto argues that one of Dragon Quest's key strengths is accessibility, and he's not wrong. It's always been light, friendly, and most import of all, beautiful. It's also supposed to be a bit of slog, as was the case with Dragon Quest VII and VIII. Square Enix has been trying to make Dragon Quest a thing in the U.S. since the NES days, and Dragon Quest XI is only its latest attempt. But this push is more serious than any since Dragon Quest VIII was released on the PlayStation 2. Even with Dragon Quest XI's success in Japan, Square Enix is no doubt feeling urgency to grow the series' fanbase in North America as its core audience in Japan ages and development costs continue to rise. Its space to innovate is fairly limited. Dragon Quest IX did some fantastic things in the multiplayer space, but Square Enix felt the sting of blowback from its initial reveal, which perhaps went a little too far in trying to evolve the series. Okamoto seemingly alludes to that backlash when he says, "We can't necessarily go against the experience that many mainline Dragon Quest fans expect. It's always a fine line between evolution and tradition." And so Dragon Quest is going back to what it does best: warmth, tradition, nostalgia. It's an unapologetically old-school JRPG in a rapidly change space. It knows what it is, and what it wants to be, and it's not shy about targeting fans who just want a classical RPG on an advanced console. This strong sense of identity is one of Dragon Quest greatest strengths. And that may ultimately be its best chance to build the bridge to the new generation it so desperately desires. Tagged with Feature,	PC,	PlayStation 4,	Role Playing Games,	Square Enix.